Increase seniors access to healthcare, enhance independent living, and reduce isolation primarily through transportation and visitation. It all began back in the mid 1990’s when the Resident Service Coordinator, from the Highland House Apartments in Whitefield, NH, saw the need for additional services for the elderly at Highland House. The Service Coordinator felt that if the Highland House residents needed additional help with various services, so must the elderly living out there on their own in the community. With the approval of the Caleb Foundation and grant monies received from the Robert Wood Johnson Foundation, the Community Services Partnership was born, in October of 1995. The Community Services Partnership was formed under the umbrella of the Caleb Foundation, the foundation being the fiscal agent. The Community Services Partnership program started to provide elders with various services via volunteers. Some of the services included friendly visiting, transportation, telephone reassurance, light housekeeping, light chores, computer instruction and commodity surplus food delivery. All of the services were provided to the elderly, FREE OF CHARGE. The partnership originally covered five North Country communities; Dalton, Jefferson, Lancaster, Twin Mountain and Whitefield. In 1999, with the receipt of Faith in Action monies, three more towns were added to the service area; Bethlehem, Groveton and Littleton. The name of the program changed over the years from Community Services Partnership to the Caleb Group, and then in 2004 the name changed once again to its current name of the Caleb Interfaith Volunteer Caregivers. 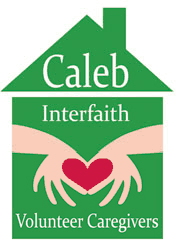 In June of 2004, the Caleb Interfaith Volunteer Caregivers (CIVC) spun off from the Caleb Foundation and became its own entity, a 501(c)3 not-for-profit organization. In January of 2005, Caleb moved from the Highland House Apartments to 38 King’s Square and in 2014 Caleb moved to it’s current location 16 Highland Street in the same building as McIntyre Apartments. The organization has one full time employee; an Executive Director, one part-time employee; a volunteer coordinator and one Operation ABLE employee; an administrative assistant. The organization is overseen by a Board of Directors and utilizes over 50 Caleb Volunteers to provide over 125 North Country seniors with services.